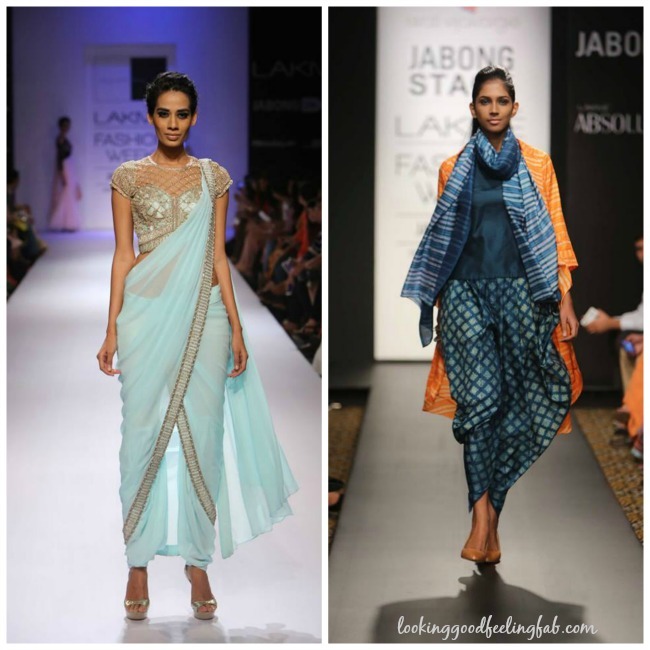 Dhoti, a garment that earlier men used to wear, has now become a part of woman’s wardrobe too. 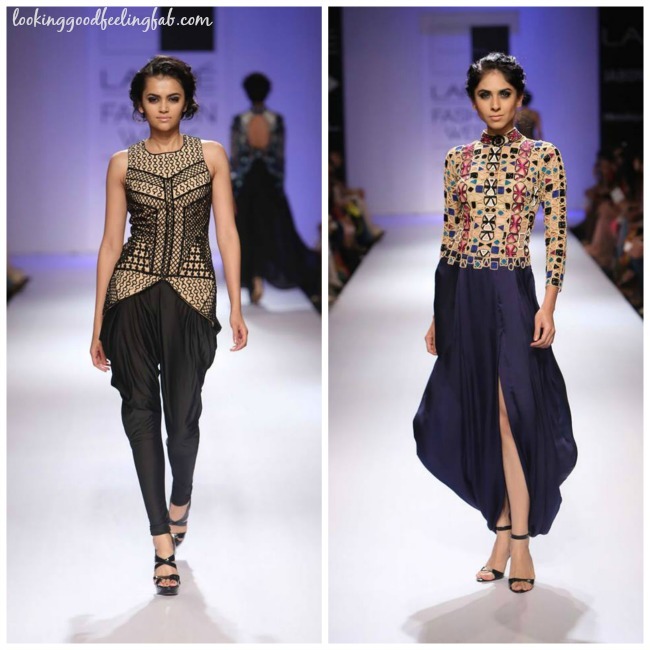 The fusion of Indian and western wear i.e. 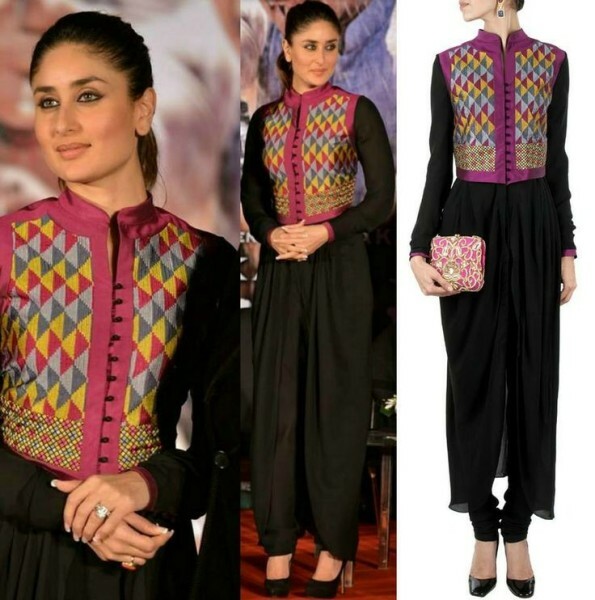 Indo Western outfits initially started with pairing up of Dhoti pants with kurtis, crop tops and western tops. 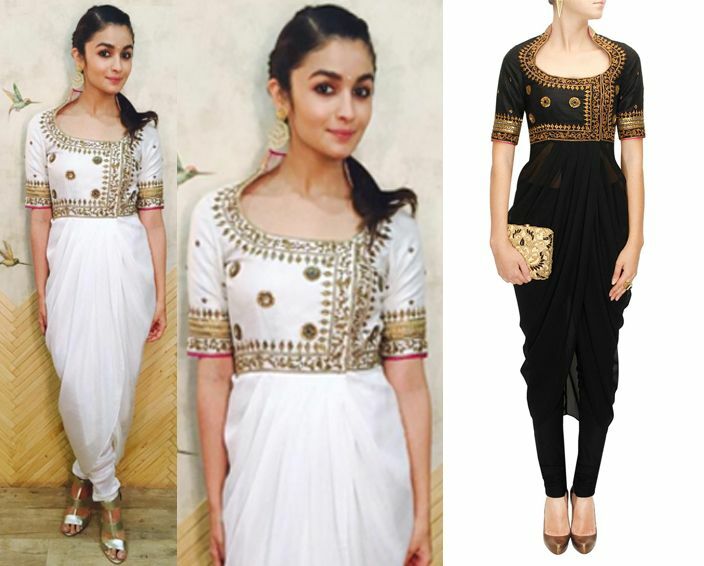 If you want to give this Indo-western look a try, you can take some inspiration from the these Dhoti style kurtis that are now trending in the fashion field. 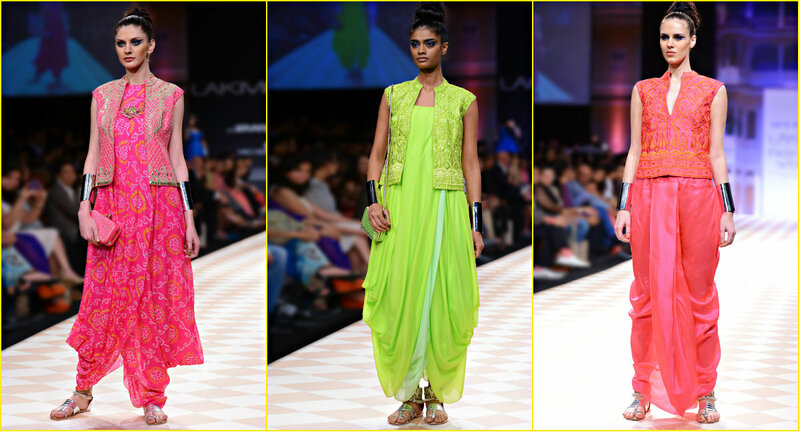 These dhoti-style kurtis give you the look of a bold, modern woman effortlessly. You can pair them up with leggings, jeggings or casually wear them as a dress too. Make sure to flaunt your heavy jhumkas or any other jewelry that you have been hiding in your jewelry box for quite some time while wearing these kurtis. Not only they will complement your outfit, but they will complete your look also. 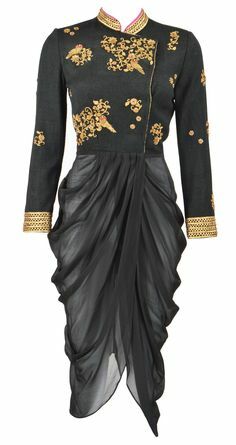 To make an Indo-western outfit, you can pair your kurtis with denim jacket, wear them as a dress or wear a corset over them to flaunt your curves. 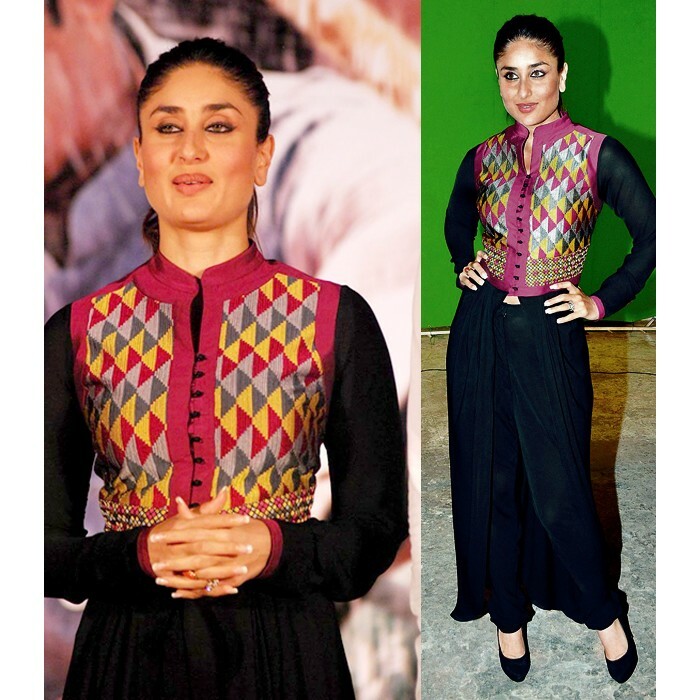 There are few dhoti-style kurtis that look almost like salwar-suit. With those ones, you can carry a dupatta. Then, there are ones which come with dupatta style shrug as shown in the picture below. Another way to wear them up is by pairing them with jackets and vest coats. A jodhpuri jacket or any colorful crop jacket with embroidery or multi-color design will look fabulous if your dhoti-style kurti is a simple one. Do not try to wear layers if your kurti already has a lot of designs. Otherwise, it will make you look over dressed and will ruin the look of the outfit. If you do not want to go through the trouble of choosing a jacket or over coat that you can pair up with your kurti, then you can buy those dhoti-style kurtis that already come with these dhotis. Don;t forget to carry a nice clutch with these kurtis. Don’t carry a handbag ever. Only go for the clutch. An amazing choice would be an embroidered clutch. 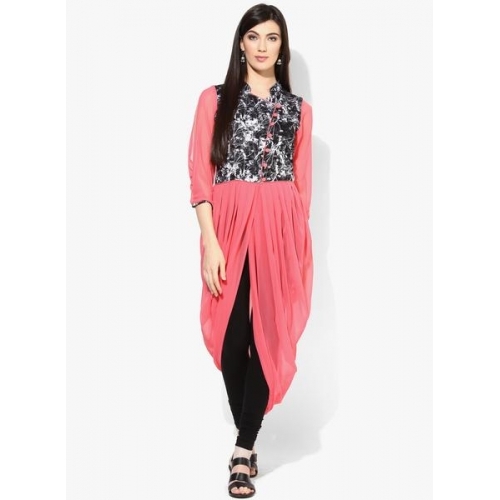 These kurtis are a great choice as party wear. 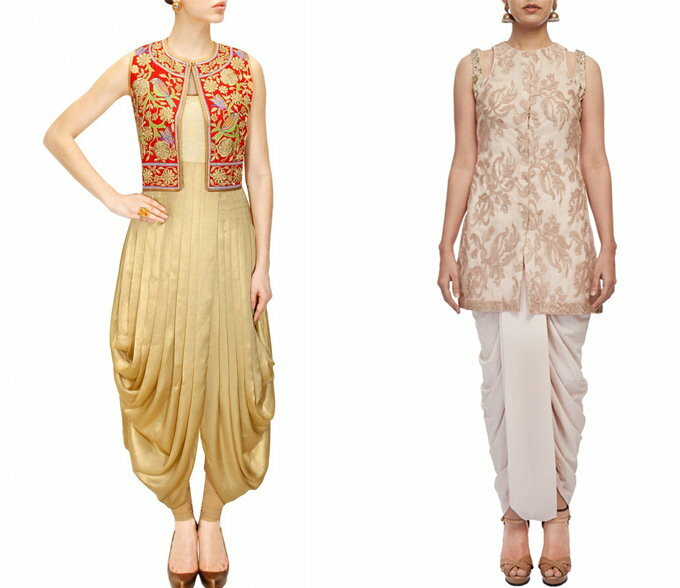 On occasions like diwali, wedding or some grant celebration, you must go for these dhoti-style kurtis to stand out. Important tip: What is important to keep in mind while wearing these kurtis is that you pair them up with heels only. If you go for flats and bellies, they will make you look shorter than you already are. Besides that, pencil keels look really amazing with these kurtis as they make you look more feminine and stylish. Style Tip: A must follow style tip to look amazing is to wear a statement necklace with your kurti. It will enhance your look even more. If you liked this fashion guide, do subscribe to our website to get notified of such fashion articles. Thank you for reading.